During this whole week, the unfiltered lager Radegast will be on tap all over Moravia. The beer known for its distinguished aroma of fresh yeasts and its typical yeast turbidity was introduced by Radegast brewery on the Day of Radegast at the beginning of September. And now beer lovers have a chance to try it in nearly 100 pubs. The last chance to taste this specialty of No?ovice brewmasters will be October 10. This unfiltered lager was drawn right from the tanks without any alterations and is not pasteurized. This puts high demands on pub and restaurant operators since their facilities must comply with the highest storage and beer-drawing requirements. Therefore, the unfiltered lager is offered in about one hundred carefully selected restaurant facilities all around Moravia where they are able to ensure necessary storage temperatures and much more demanding sanitation of beer pipes. All these places were awarded a certification for the highest level of beer-care. 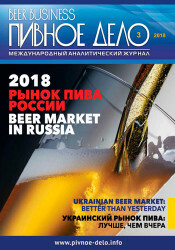 "Unfiltered lager is especially bitter beer, which is a typical mark of all Radegast beers. Its pure aroma is slightly ester and in harmony with the malt aroma. When carefully tasted, one can taste fresh brewers' yeasts," said Ivo Ka? ?k, Manager of Radegast brewery, in describing the taste of the unfiltered beer. You can recognize unfiltered Radegast lager at first sight. Its golden hue is accompanied by typical yeast turbidity. No?ovice brewmasters brewed it from a high quality variety of ?atec and Tr?ice hops, the best brewers‘ yeasts, their own malt made of Han? barleys and pure Mor?vka creek water. The list of restaurants where unfiltered Radegast lager is on tap is listed at the website www.radegast.cz. - Beer brewery Radegast, one of the most modern beer breweries in Czech Republic, has produced beer since 1970. - Brewery Radegast is a member of the biggest Czech beer brewing group Plze?sk? Prazdroj, Inc. since 1999. 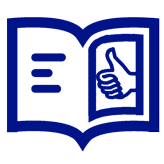 - With total sales of nearly 10 million hectoliters during the calendar year of 2010 (including licensed products abroad) and with exports to more than 50 countries worldwide, Plze?sk? Prazdroj Inc. is the prominent beer producer in the region and the biggest exporter of Czech beer. - Plze?sk? 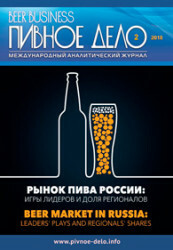 Prazdroj Inc. is the member of SABMiller plc. group. Pilsner Urquell is the international flagship brand of the SABMiller brand portfolio. - SABMiller plc. 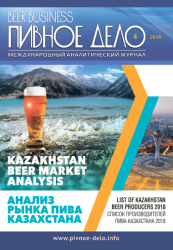 is one of the world's biggest beer brewing companies, with beer brewing activities or distribution in more than 60 countries across six continents. SABMiller's brand group includes such important brands as Pilsner Urquell, Miller Genuine Draft, Grolsch, Peroni Nastro Azzurro, and many other successful regional brands.